It happens every year- we get to that one point in the year where I start to realize we are wrapping it up. Sometimes I notice it and sometimes I don't. Well it hit me like a ton of bricks on Friday when most of my students had finished their FAIR test. The last Kindergarten FAIR test they will ever take. WAIT WHAT? Insert panic here. Not that they are not ready. They are. I know they are and they know it. The panic ensues because it makes me wish-- wish for more time, more crafts, more fun, more games, more of the stuff that will make Kindergarten memorable. Every year I worry that my focus was not balanced enough. I worry that they did not have enough fun. This is probably something we are not even suppose to admit. So I am determined to do a writing based craft each week until they leave me (tears.) Maybe I will even be awesome and upload it to TPT. If it was not obvious enough I have a special attachment to this class. 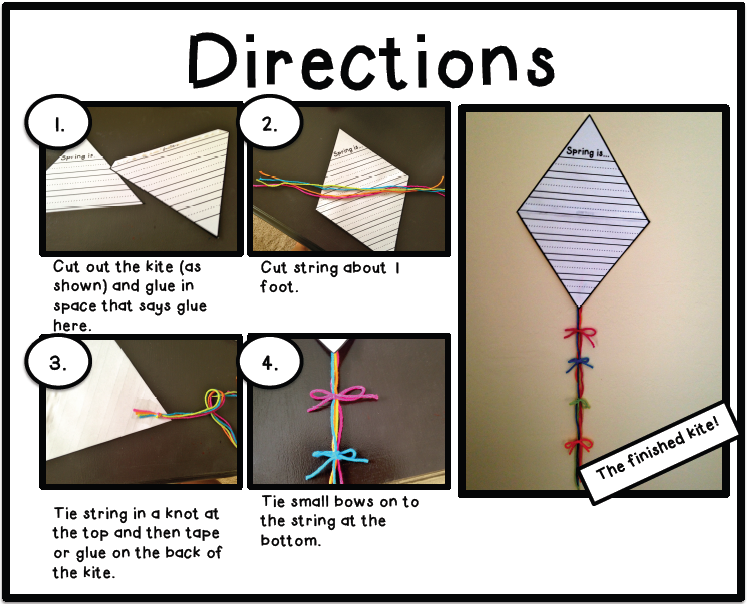 This is our craft and writing activity for this week! 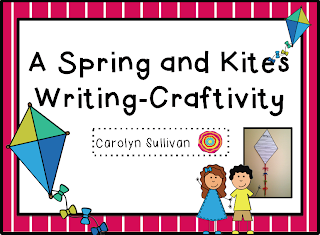 We are going to make spring kites! I think you could make it work for k-3. There is a blank graph they can make and then do writing on a separate paper for your 2/3 kiddos! You can grab this at my TPT store for only $1.25 but if you comment on this blog post I will send it to you for FREEE! I am feeling super nice so maybe the first 7 people!?! So excited to find you and I love your creative ideas. Your blog is darling and I can't wait to visit all the time. I am so excited. 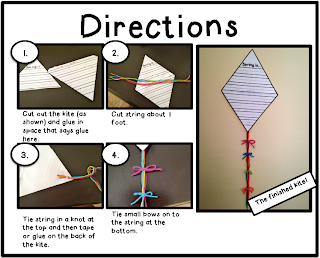 I am planning on making kites with my kids this week in class and ....I found your blog. YEAH! thanks for the inspiration and extra idea. Debbie, Tonya, and Sara I sent you the Kites! Hi Carrie, I love your kite craftivity! Just found your blog through Mrs. Rios, I'm your newest follower!